For decades, the Canadian federal government, as well as provincial governments, have implemented policies to promote commercial innovation. Notwithstanding, it is widely acknowledged that Canada’s innovation performance has been, and remains, relatively weak by international standards. Indeed, Canada’s performance relative to national innovation leaders, as well as to the United States specifically, has deteriorated in recent years after showing some improvement from around 2007-2012. Innovation is critically important to a nation’s economic welfare, since innovation plays a crucial role in promoting productivity growth. In turn, productivity growth underlies improvements in an economy’s standard of living. In this study, we compare Canada’s innovation performance over approximately the past decade to that of other developed countries using two well-known indices of innovation. Innovation can be broadly thought of as the process by which new products, new methods of production, and new organizational structures and managerial techniques are introduced and used in an economy. Numerous individual measures of innovation have been cited in the literature, although no single measure is clearly preferable. Hence, most scholars favour using indices that combine a number of different individual measures. We use innovation indices reported in the Global Competitiveness Report and the Global Innovation Index. Both indices provide similar insight: Canada’s relative innovation performance has worsened in recent years. The study augments the evidence from the innovation indices with information about the relative performance of Canadian firms in terms of their growth of sales revenue and profits. Since innovation improves competitiveness, innovation should be linked ultimately to improved sales and profit performance. Available data from Fortune magazine identifies the 100 fastest growing companies on an annual basis. From 2007 through 2012 there were significantly more Canadian firms on Fortune’s list than is the case after 2012. Hence, the information from Fortune’s list of the fastest growing companies supports the observation drawn from the innovation indices. Namely, Canada’s innovation performance has deteriorated in recent years. Various evaluations of Canada’s innovation experience link its relatively poor performance to weakness in private sector expenditures on research and development and a lack of success on the part of start-up firms in converting technological opportunities into commercially successful technological outcomes. However, there is substantially less agreement about the causes of this phenomenon. To date, government policy has largely focused on subsidizing the innovation activity of Canadian companies through tax credits of various sorts, as well as direct funding programs. The federal government’s Innovation and Skills Program focuses, in part, on providing increased venture capital funding for companies in later stages of the start-up process. It also includes financial measures to increase worker training and ease the transition from part-time to full-time work, as well as financial incentives to create mega-clusters in specific industrial activities, among other initiatives. While the federal government’s focus on improving the transition of Canadian companies from start-ups to successful anchor firms in international technology ecosystems seems well placed, public policy as it is directed toward improving innovation still remains what might be characterized as “top-down.” Specifically, even though the federal government is streamlining its bureaucracy in the context of its innovation support programs, it continues to play a major role in directing the allocation of resources in the technological change process, primarily through taxpayer-funded programs of various sorts. This top-down approach has been unsuccessful over a sufficiently long period to justify a substantial rethinking of innovation strategy. An alternative approach would emphasize altering both the incentives and financial and related resources of the private sector, so that innovation in Canada becomes more of a “bottom-up” phenomenon. For example, more emphasis might be placed on promoting domestic competition, primarily by reducing barriers to foreign direct investment in critical infrastructure industries such as telecommunications and banking. Increased competition should strengthen the incentives of private sector firms to improve their competitive position in the marketplace. 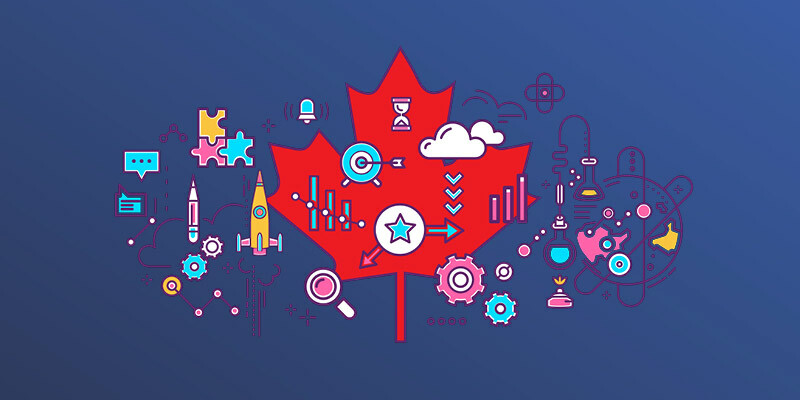 The Global Competitiveness Report highlights the negative influence that government regulation has on innovation in Canada compared to countries that are more successful at innovating. It also identifies Canada’s tax structure as being relatively unfavourable for encouraging innovation. In this regard, numerous studies provide evidence that reducing marginal personal tax rates and the capital gains tax rate will promote innovation by increasing incentives for the private sector to take risk and by enhancing internal sources of capital funding.